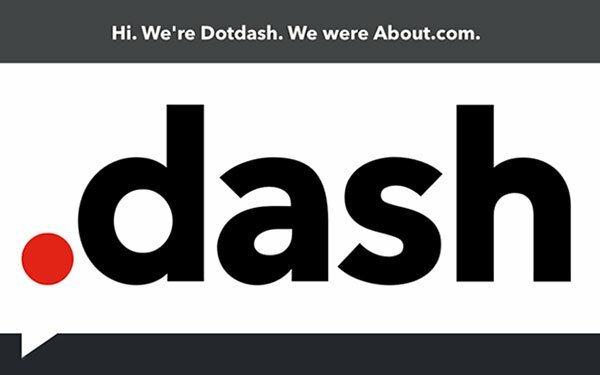 About.com has become Dotdash. About.com will essentially shutter — and shift focus from the general-interest site to Dotdash’s brands, which include Verywell, The Spruce, The Balance, Lifewire and ThoughtCo. They focus on health, home, personal finance, tech and education, respectively. Dotdash will soon launch travel-focused site TripSavvy. Neil Vogel, CEO of Dotdash, told Publishers Daily that Dotdash will act more like a big publishing media company, such as Conde Nast or Hearst. “We split the company up like a branded premium publisher,” he said. Dotdash reportedly reaches over 100 million monthly users. All of the new vertical brands are in the Top 10 of their respective comScore categories -- some of which are the fastest-growing sites in those categories, backed by the scale and data of the 20-year-old About.com. “Our thesis that consumers prefer endemic brands rather than general brands... was totally right,” Vogel said. For example, Verywell is a Top 10 health information site that reached 17 million monthly U.S. unique users in March. The site’s audience has grown 62% since its launch in May 2016, faster than any site in its category. The Balance is a Top 10 personal finance and investing site that reached over 13 million monthly US unique users in March, and has grown 106% since its launch in September 2016. Vogel added: “Building brands is really hard, and we are in the midst of building five real brands from consumers and building a trade brand at the same time. It is super tricky and it doesn’t always go well, but I think we didn’t have a choice." Each brand has its own product, tech and editorial teams, but all are housed on a central CMS. Vogel said the new name is “a nod” to About.com’s history. The red dot in the logo has been a part of the site’s identity from inception, while the dash “suggests forward motion and action,” he stated. Vogel added that in old Morse code, dot dash is the letter A.